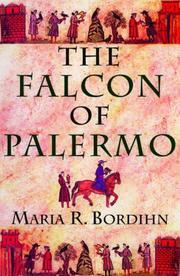 Crowded debut historical about the embattled career and love life of 13th-century Holy Roman Emperor Frederick II. Bordihn’s protagonist grows up destined to rule, born the son of tyrannical German emperor Henry of Hohenstaufen and grandson of the legendary Frederick Barbarossa. Early pages focus on his childhood in Palermo, where young Frederick matures in a varied cultural matrix composed of mingled Christian and Muslim influences. At age 15, as king of Sicily, he marries the much older (and widowed) Constance of Aragon and ascends to the throne of an unruly empire that is “in essence German, but [has long since been extended by] conquest and marriage. . . to include Austria, Burgundy, and northern Italy.” The upshot of this aggrandizement is decades of struggle against rebellious German barons, ambitious pretender Otto of Brunswick, and three successive popes who are fearful that Frederick’s temporal power will obscure or nullify the Church’s worldlier interests, and who oppose him with intrigues, formal denunciation and excommunication. Frederick survives to the ripe age of 56, defying threats to his supremacy, liberating Jerusalem from Saracen control in a crusade undertaken without papal sanction, and outliving numerous wives, mistresses, offspring, and trusted friends and advisors. Bordihn’s well-researched romance is marred by genre clichés: all prominent female characters are ravishing beauties, all parallel males are magnificent beasts gifted with unquenchable virility, and the language describing their couplings and conflicts frequently succumbs to mooniness. But the story entertains, thanks to a firm grasp of medieval power politics and an ability to make acute discriminations among rival or warring factions—and, not least, to a vivid characterization of Frederick as a high-energy combination of innate nobility, restless intellectual curiosity and galloping megalomania. Much of the content here is generic. But Bordihn does create a world, and does keep us interested in its nicely evoked color and turmoil.